The popular Microsoft Office suite is available as a free download for iPhone and iPad owners, and the latest versions no longer requires an Office365 subscription to use, create, and modify documents. 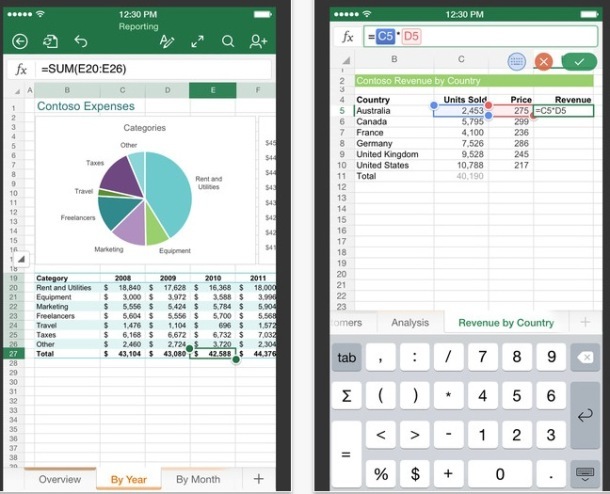 The iOS releases of Microsoft Word, Microsoft Excel, and Microsoft Powerpoint are fully functional for basic tasks, providing a welcome experience for iPhone and iPad owners who rely on Microsoft Office for work, school, or home use. Additional advanced features can be accessed with a subscription to the Office 365 service. Office for iOS requires a Microsoft account to be able to edit and save documents for free, with the option of saving files to a Microsoft cloud service, DropBox, or locally onto an iOS device. Signing up for a Microsoft account is available in the apps, and can also serve as an email address, cloud storage, and login to other Microsoft services. The free iOS versions support functionality that is typical for most users, though advanced features continue to require a paid Office 365 subscription. You can learn more about those specific features which require a subscription here. 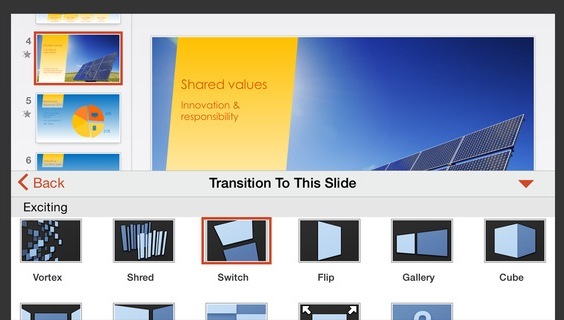 The Microsoft Office suite is in direct competition with the iWork suite offered by Apple. Though Pages, Numbers, and Keynote are also excellent applications, there are occasional compatibility quirks and issues that can be experienced when working with native Office documents and Word files, sometimes even when specifically exporting as a .doc file from the Pages app. Additionally, many users prefer to use the same software suite across platforms, not only to insure maximum compatibility of files but also to have a seamless experience regardless of they being on an iPhone, iPad, Mac, or Windows PC. An Android version is apparently in the works as well, though it has yet to be released. As of now, the Office suite remains a paid product for the desktop. 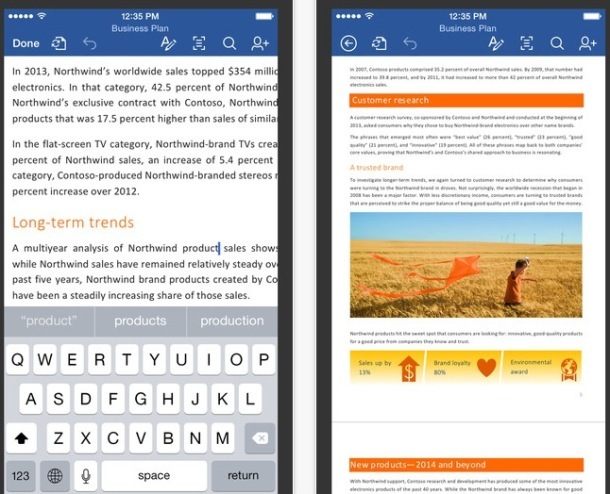 Keeping in mind that an iPad or iPhone can use an external keyboard, the free iOS versions of Word, Excel, and Powerpoint offer a compelling option for Apple users who would like to use the Microsoft Office suite. Still with it had iCloud integration. I must prefer using pages for word processing. Such a smooth and productive experience. Update: Is now, wasn’t just a few minutes ago, timing is everything! Not in the UK? Clicking on the links opens up only the usual options that have to be paid for as before. I’d rather not touch Office in any form. Pages, Numbers, Keynote is working perfectly for my business needs. Does that mean I wasted a hundred bucks on an Office 365 subscription? No “microsh*t” on my mac / iDevices ! What are basic & free features and advanced features with paiement?